This healthy breakfast sausage is light and full of flavor! In a large sauté pan, over medium-high heat, add olive oil. Once the olive oil is hot, add chopped apples and garlic and cook until apples are tender (about 4 minutes). Set the apples aside and let them cool. Next, in a large mixing bowl, add all of the remaining ingredients and mix well with your hands. Combine apple and garlic mixtures together and mix until apples are well combined into meat mixture. Divide meat mixture into 16 little balls and flatten to make patties. Spray large skillet with non-stick cooking spray and heat pan over medium high heat. Cook sausage patties in batches until meat is no longer pink. 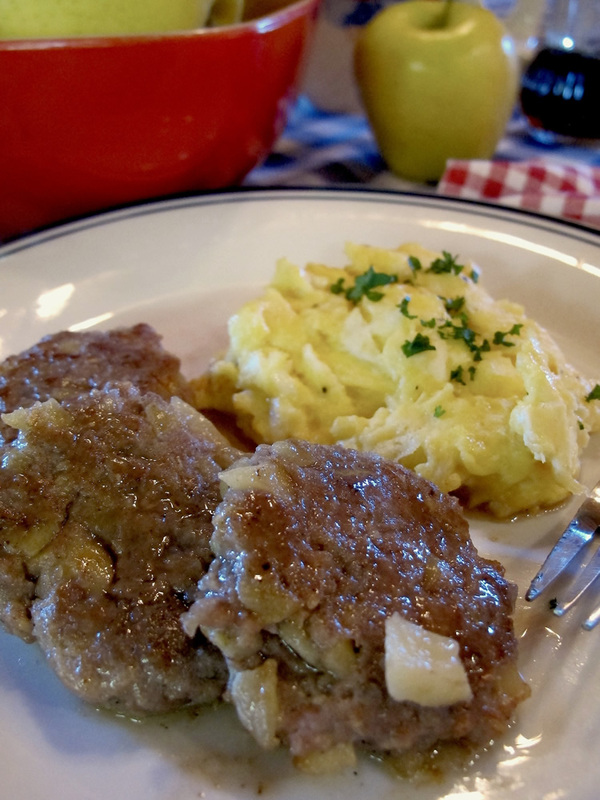 Serve cooked Turkey Apple Sausage patties with extra maple syrup and your favorite egg dish!